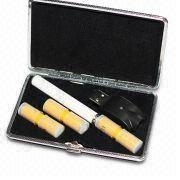 Joye 510 D1 e Cigarette with 3 refillable cartomizers Kit is one of the best values on the market. With its own carrying case, you can take your cartomizers, battery, and USB charger anywhere you go. The battery comes in either the manual option or automatic option, as well as 8 different color options to choose from. Our battery colors include white, black, silver, gold, metallic green, metallic red, metallic blue, and pink. The cartomizers are refillable, so we suggest purchasing additional eliquid for convenience and savings. The Joye 510 D1 is equal in size to traditional 100's cigarettes.